Which head package is right for me? This is a question we get asked daily, while the answer can be different for everyone we thought we'd go over some basic guidelines that we've found may help at least narrow the decision. A decision needs to be made what your goals are right now as well as what you may want to do in the future. It's always a good idea to have some upgrade options available down the road without having to start from scratch. Any combo under 500hp can be effectively accomplished with our CNC ported cast iron heads, that being said if you think you may want to build something more aggressive in the future then our KRE CNC ported D-port heads should be considered as well as our Edelbrock CNC ported heads. Our KRE CNC ported D-port heads are an excellent choice for 500-600hp pump gas engines from 400-474ci, as well as our 315cfm CNC ported Edelbrock heads. 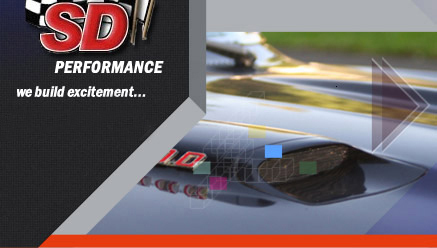 If you are wanting to build an engine beyond 600hp and realize the power potential you'll also need to run headers larger then 1 3/4" which is the largest tube size currently available for out of the box D-port headers which makes a D-port head not the best choice. Our 325cfm, 335cfm and 340+cfm CNC ported std. pushrod location E-heads are excellent heads to use for pump or race gas engines producing 600-850hp and displacements of 468-541ci. If you are building an engine above 800hp our wide port E-heads are an excellent choice especially for larger bore/cubic inch IA II/MR-1 engines up to 900hp with up to .750" valve lift cams. Our CNC ported KRE High Port heads are an excellent choice for max. effort race engines with very aggressive valve lift cams. While the above info is some what vague hopefully it is helpful to at least narrow down what some of the best choices are for the type of combo you are building. Please contact us for more specific recommendations based on our dyno and track testing.